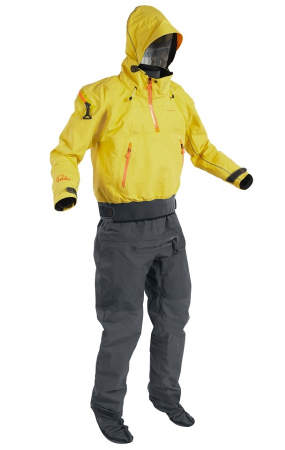 The Palm Bora is the ultimate cold weather drysuit for ocean paddling and coastal exploration. A comfortable glideskin neck seal with latex wrist seals keeps the water even when the conditions are against you. 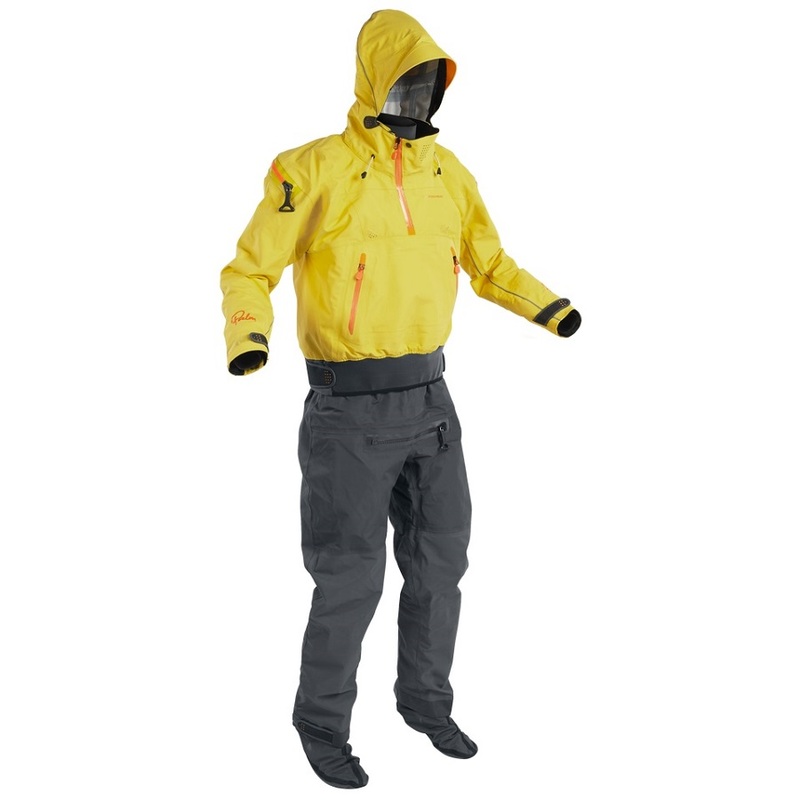 A top drysuit for ocean touring and kayak fishing. The Palm Bora is a top drysuit designed specifically for ocean and coastal paddling in cold weather and cold water conditions. The Bora features a fully adjustable storm hood to keep your head protected from the sea spray, rain or cold wind. The hood can also be rolled away for when it isn't needed. The smooth non-chaffing glideskin neck is comfortable for spending all day on the water and coupled with the latex wrists seals, will keep the water out even when the conditions are against you. The neck also features a 1/4 zip outer collar for added ventilation if needed. The Bora is rear entry through a low maintenance TiZip Masterseal that has been pre-curved to sit more naturally on the shoulders, you will hardly notice it is there! A TiZip is also used for the relief zip. XP4 layer fully breathable fabric is used throughout, even on the fabric socks, which also feature a durable nylon sole. Velcro adjustable wrist and ankle cuffs and velcro adjustable waitband make for a comfortable fit. Reinforced elbows, seat and knees provide extra durability in areas of heavy wear. The Bora is a superb drysuit for ocean touring and kayak fishing, and will keep you dry whilst being comfortable for long days on the water. We offer a delivery service for the Palm Bora Drysuit throughout the UK & Ireland to home and work addresses. Buy a Palm Bora Drysuit online from our website and collect from our shop in St Columb Road near Fraddon in Cornwall or you can collect from any branch within the Canoe Shops Group. There is no cost associated with instore collection*.